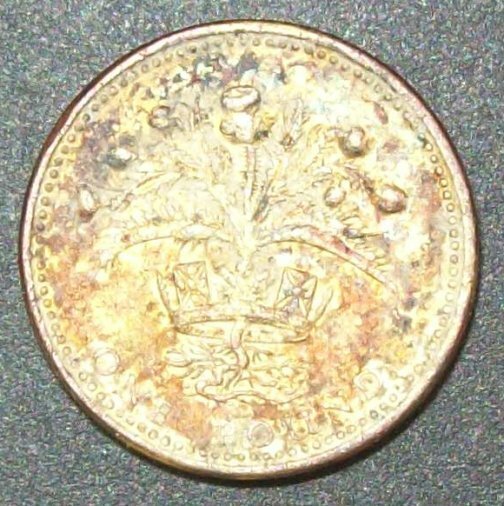 Possible minting error (die crack) since the lettering and beading are not deformed where the indentation is. 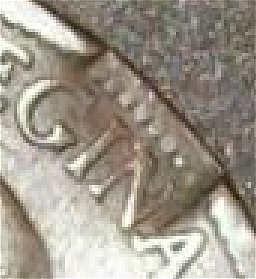 The face has dried glue or epoxy on it. 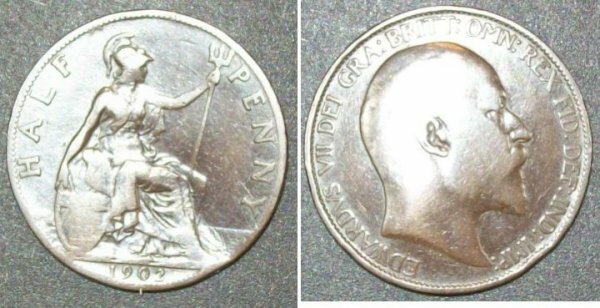 Someone obviously stuck this coin onto something. 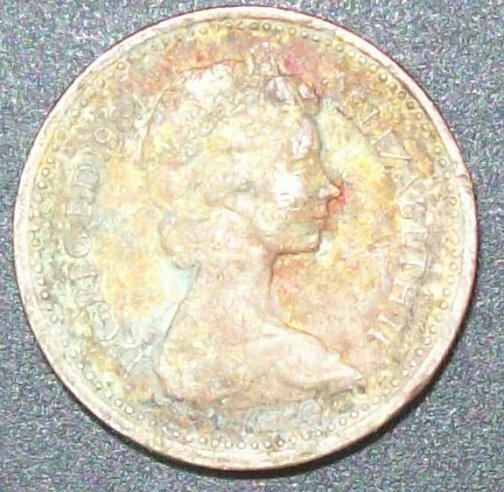 Because of this, the face side has seen very little wear compared to the back side. 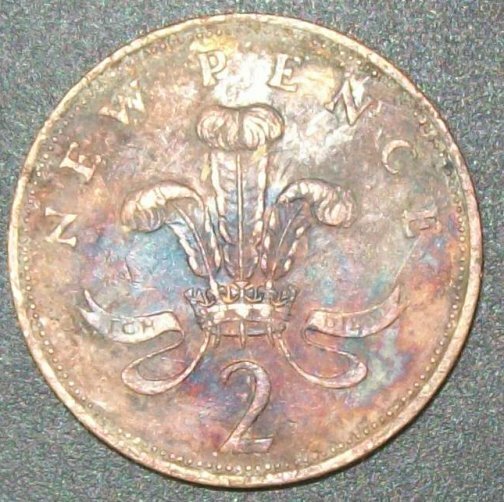 If you can safely find a way to remove the epoxy then this might be a nice coin for your collection. 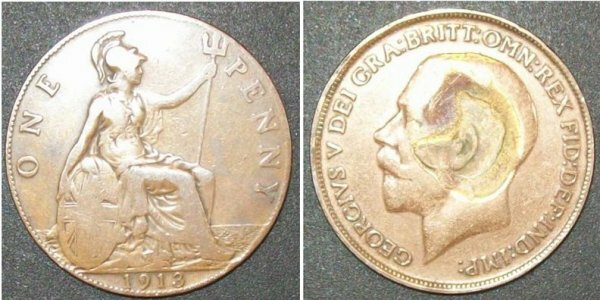 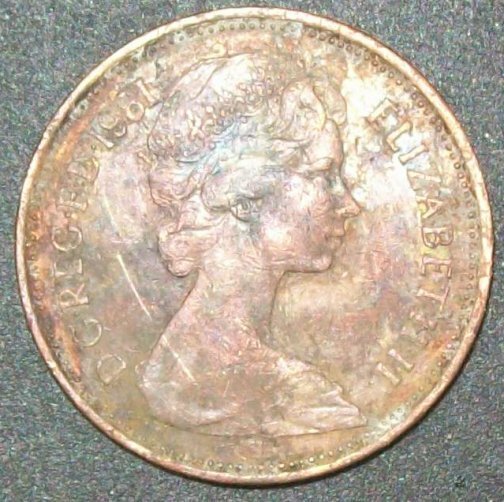 British coin 1984 £1, circulated - I found this in seawater off South Victoria beach.